Like most superhero versus superhero fights, this one revolves around misunderstandings and misplaced emotions. And why not? As much as we claim to enjoy long, intricate plot lines that accurately portray the characters in a logical manner, I also really enjoy watching strong dudes punch each other. The action’s what I imagine attracted most of us to comics in the first place. See the doctor’s outfit? 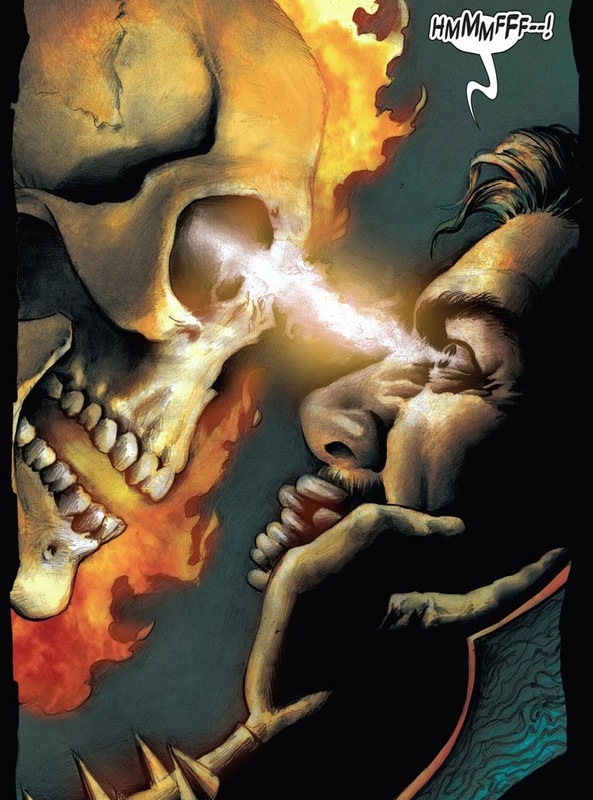 Ghost Rider, arguably one of the most powerful superheroes with all his cool fire powers and being practically invulnerable, gets to brawl the full balls-to-the-wall Sorcerer Supreme Eye of Agamotto Doctor Supreme. 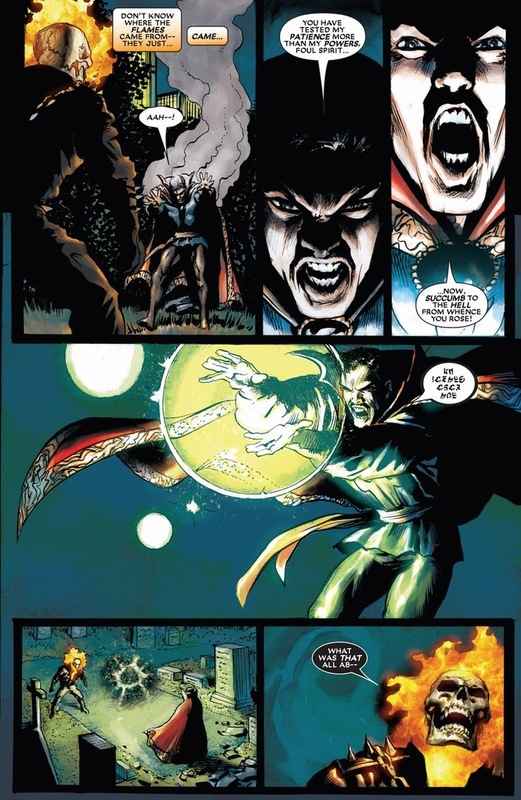 Plus, Doctor Strange speaks even more Doctor Strange-y than normal, which you’ll notice as we move on. Now remember how the two need a reason to fight? You know how Lucifer can be any tricky form? The fight takes place over the entire issue. From the first page to last page. I’m just as excited as you are. 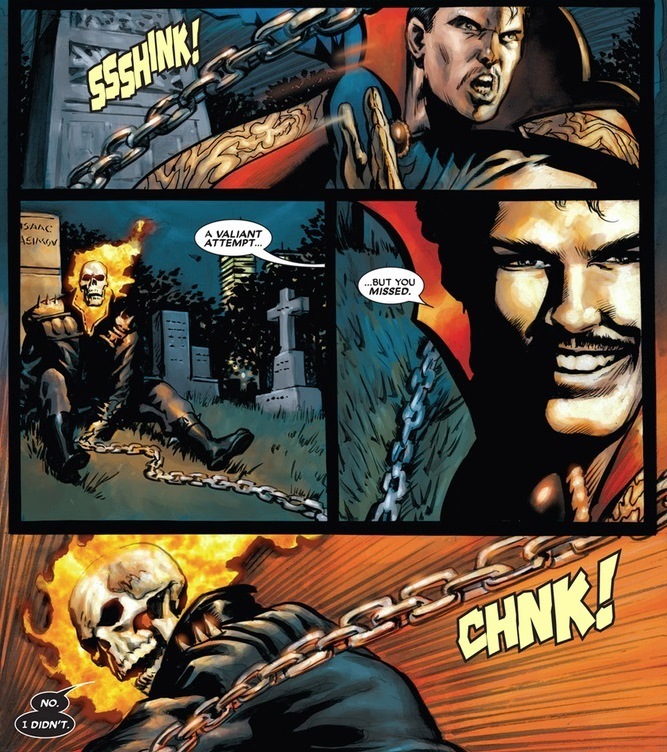 The blows exchange nicely, as Doctor Strange possesses nearly infinite attack possibilities with his magic and Ghost Rider has a chain whip. I love Doctor Strange, and not just because of the mustache. 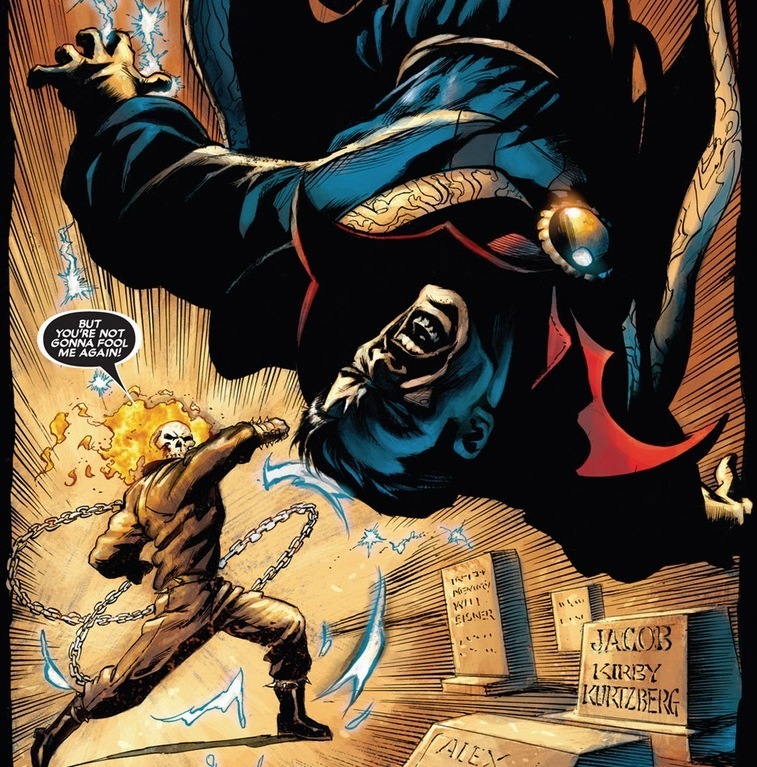 Because of how magic works in the Marvel universe, the man can launch almost any offensive or defense attack — from crazy laser beams to demonic prisons to dimensional teleporting. 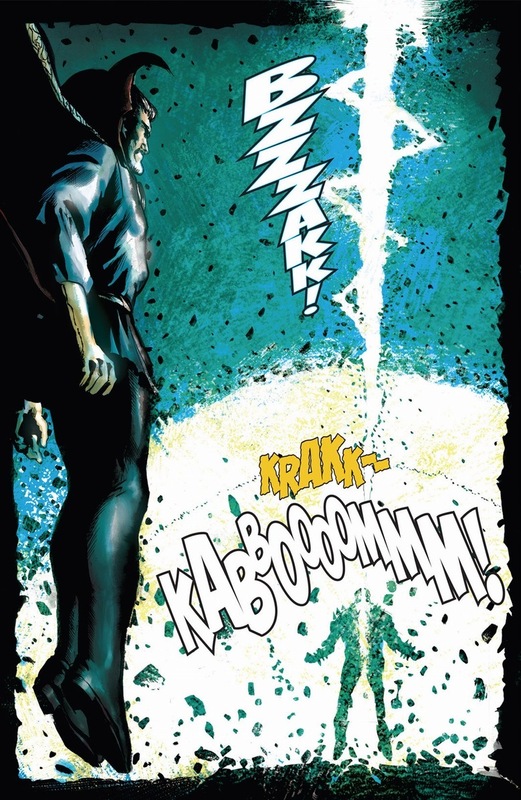 And while many may call it a deux ex machina or a permanent trump card, Doctor Strange’s magic more often than not just leads to cool explosions. That and Doctor Strange’s “disappointed dad” act. 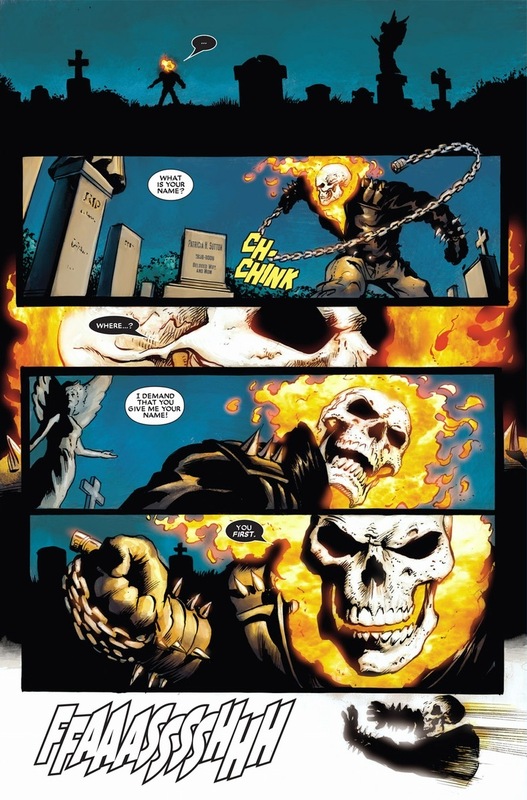 I know Ghost Rider’s the title character of the series. 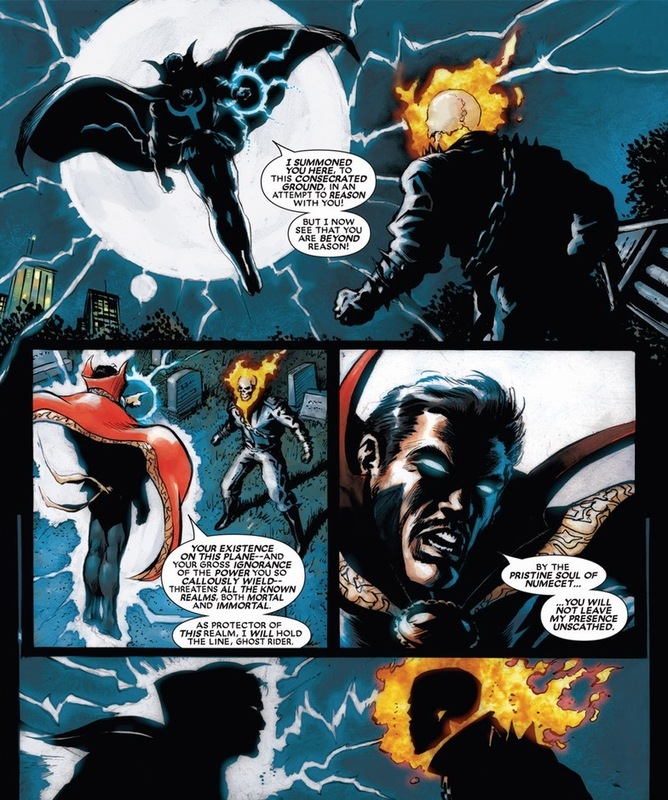 I know Doctor Strange doesn’t realize the importance of Ghost Rider’s mission. 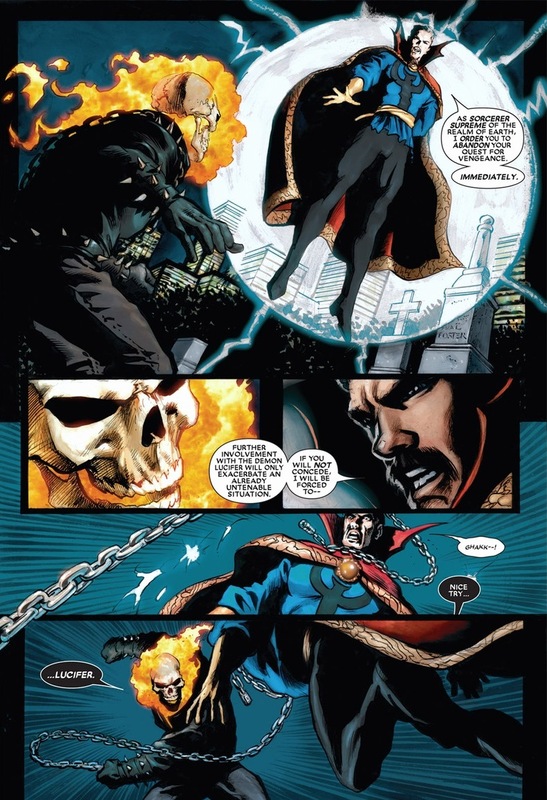 But as super awesome a demonic biker with a fiery skull and giant chain whip is (really super awesome), in this being-a-jerk competition the two are engaged in, Doctor Strange remains slightly less so. Though I’m biased. I’m a big fan of capes. 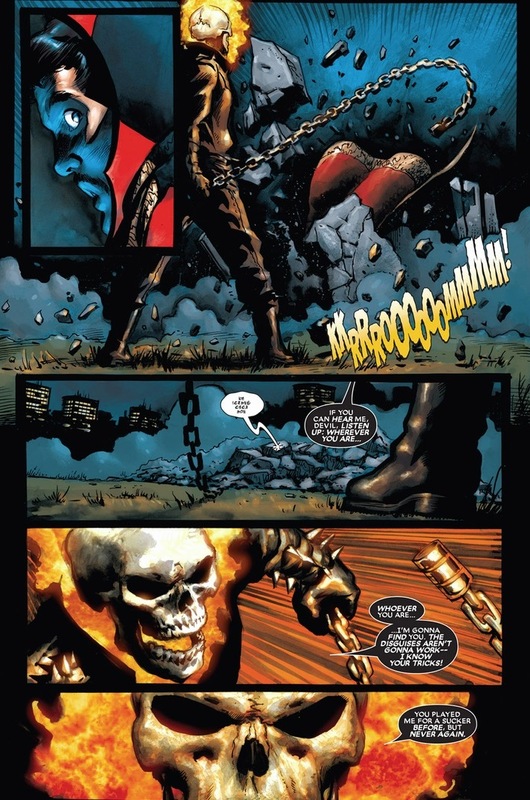 Remember early when I mentioned Ghost Rider’s near invulnerability? 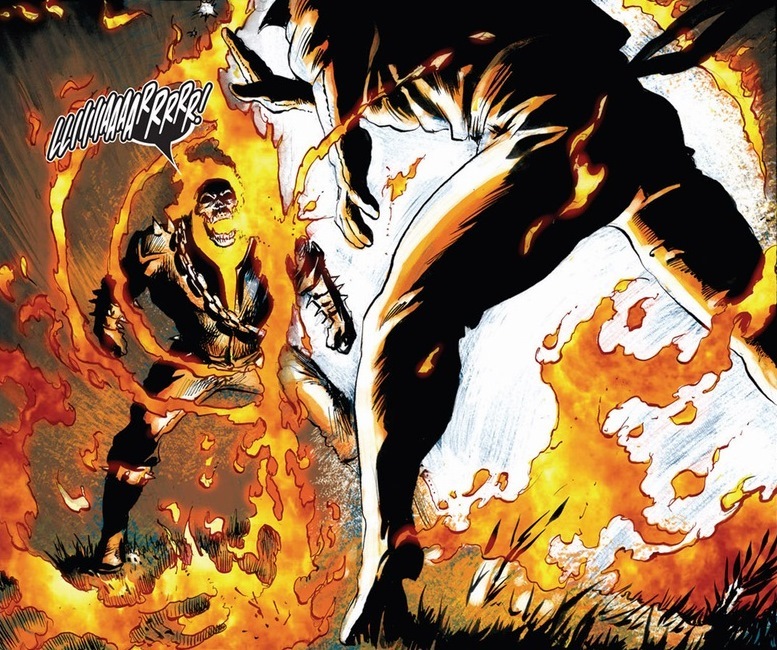 An attack like that would almost certainly incinerate Captain America or Daredevil or Spider-Man or whoever. 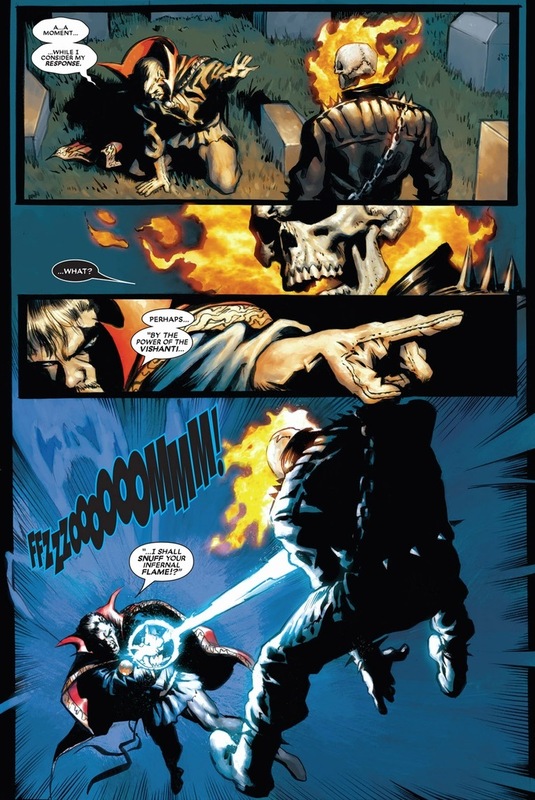 But Ghost Rider can’t really die. 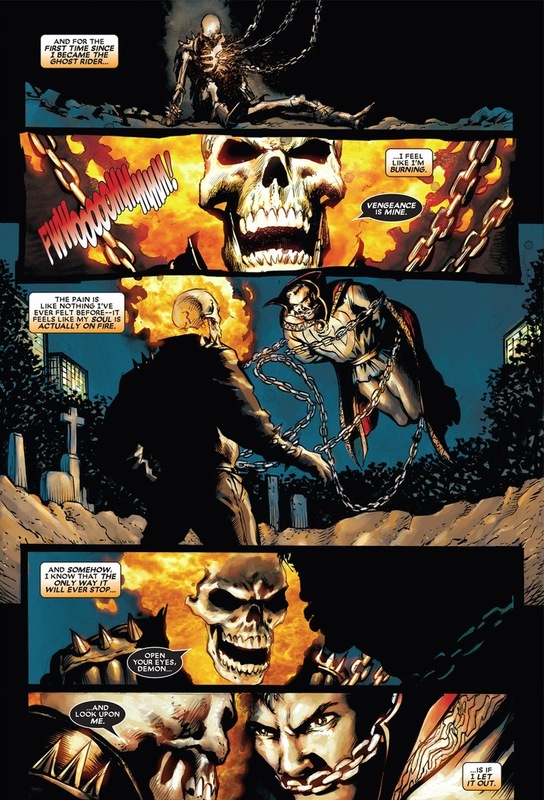 And unfortunately, Ghost Rider also has an ultimate attack. 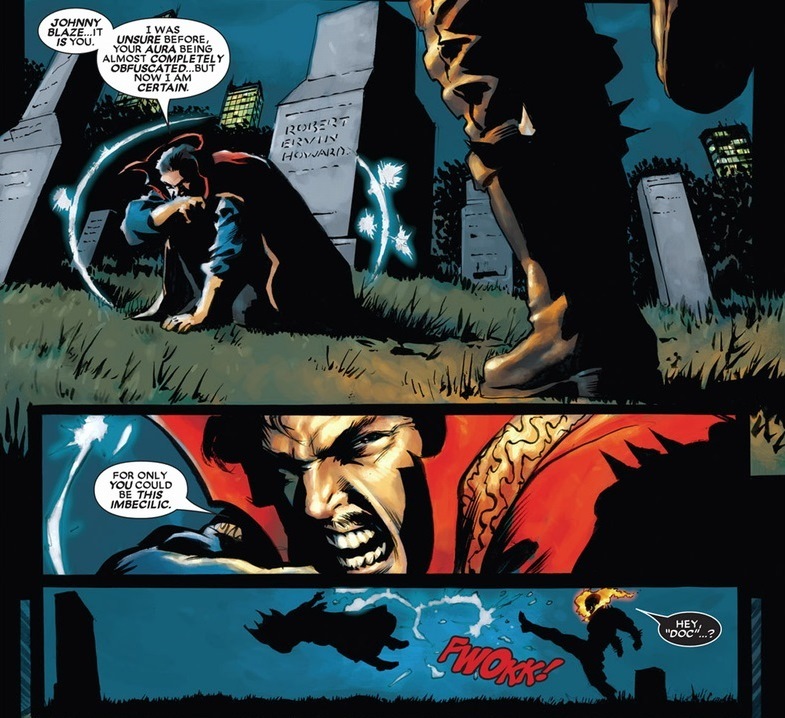 Doctor Strange doesn’t possess that same invulnerability. The Penance Stare makes the victim relive all the pain and suffering they’ve caused others. At once. 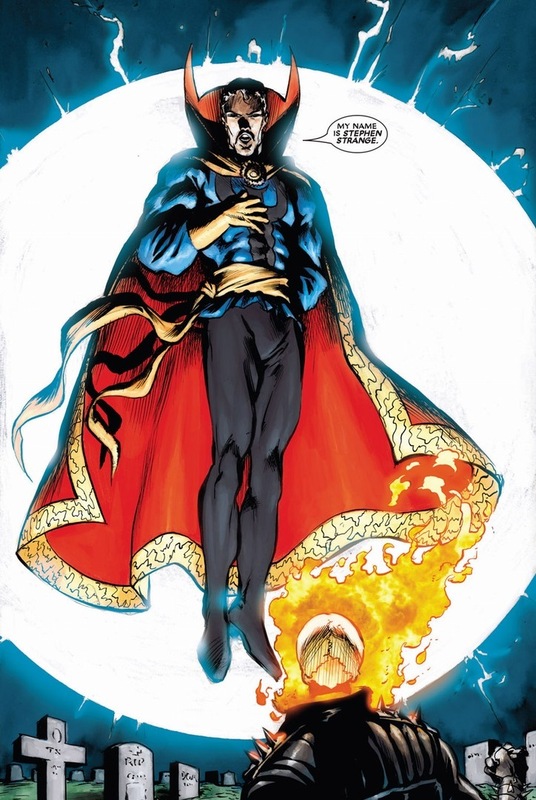 And Doctor Strange’s profession as a superhero, who magic blasts baddies every evening, that’s pretty much certain death. 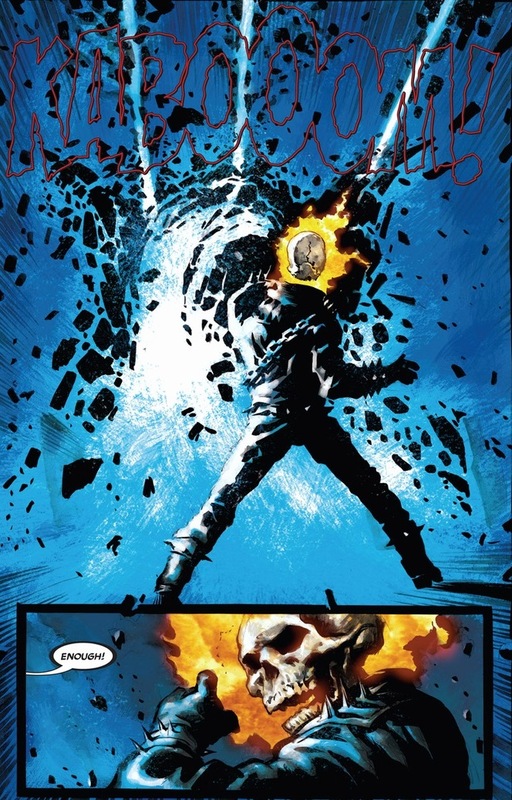 Victory Ghost Rider, though I’m sure you could buy the next issue to find out what happens. Spoiler alert: fairy tears.